When thinking of a healthy diet, there is one thing that nearly everyone thinks is true: Butter is bad. If you consider your arteries or your waistline, butter has suffered a bad blow for 50 years. However times they are changing, and dairy products such as butter are increasingly rich in nutrients, thanks to the increasing grass-fed cow industry. Research has revealed that feeding cows grass instead of grain or corn not only provides leaner, more nutrient-rich meat, but also more vitamin- and mineral-dense milk, which means a healthier butter. This article will show you 6 reasons why butter is good. Spreading butter on your bread toast can not only improve the immunity of your body but also assist in reducing the growth of cancer cells and increase the production of red blood cells thanks to vitamins A and D. A tablespoon of butter comprises 7 percent and 2 percent of your daily value of vitamins A and D, respectively. In addition, because both vitamins are fat-soluble, butter is a major vehicle to help absorb nutrients in the body. Conjugated linoleic acid has been linked to tumor reduction in colorectal cancer and may even help to combat breast cancer, according to an experimental pathology study. Sodium butyrate, found almost exclusively in cheese and butter, has been associated with a better insulin response in diabetic patients and raises the energy in mice. It can also help relieve constipation and might even assist in protecting against colon cancer. 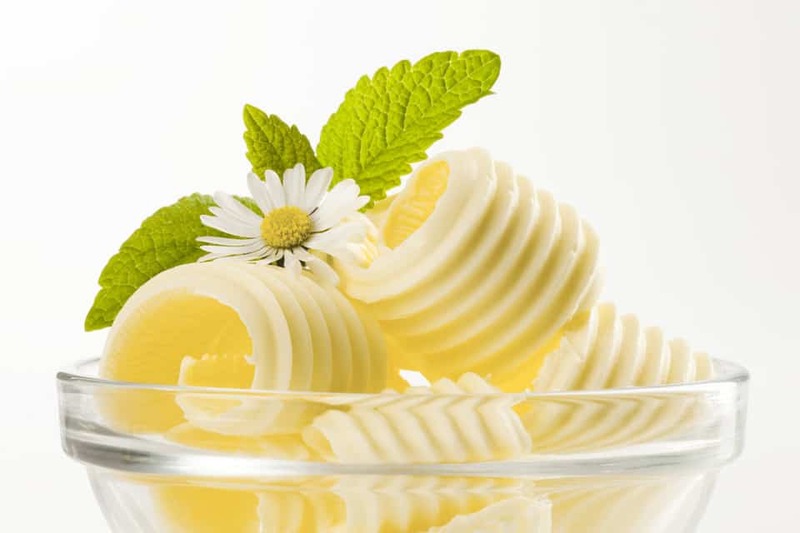 Oppose to popular belief, some margarines – especially varieties of the first wave – are actually worse for you than butter because of high levels of trans fats. In addition, researchers also discovered that vegetable fats contained in margarine are more probable to cause death in heart disease patients than saturated fats in butter. With vitamin K and vitamin D, butter can also help increase the strength of bones and muscles. Vitamin K not only helps maintain bone density but has also been associated with a 30 percent decrease in hip fractures in women who consume at least 110 micrograms each day. Adding a tablespoon of butter to a baked potato represents 1 percent of your daily value. According to the research, some fat-soluble vitamins, such as calcium and vitamins A, D and K, which are found in higher amounts in butter from grass-fed cows than in olive oil or margarine, may help combat cavities and even reverse tooth decay. As you see butter is good for you if eaten in moderation. So enjoy some today!